The 2018 Genius Bloggers Toolkit from Ultimate Bundles is really the ultimate Bloggers Toolkit. 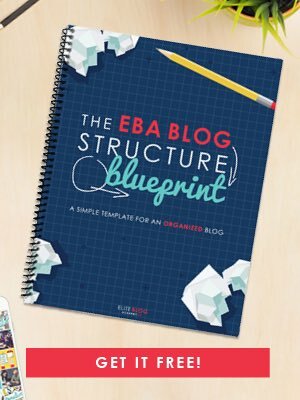 This bundle of blogging goodness is jam packed with courses, eBooks and Bonuses – all geared towards helping you make your blog better. It is also completely different from last years edition – so even if you purchased at that time, it is so worth it to take a look at this one. Click here to see a complete list of all the blogging resources that are included in the 2018 Genius Bloggers Toolkit. Let me tell you why I think it is such a great value. Although all of the courses are awesome, I wanted to single out just a few of the resources that have made a big difference to me. In full disclosure, I am an Ultimate Bundles affiliate – but I also have personally bought both the 2016, the 2017, and now the 2018 Genius Blogger's Toolkit. One of the mistakes that new bloggers (and many experienced bloggers) make is ignoring their email list. I'm guilty of it as well. Writing email on a regular basis doesn't come easy – at least not to me. People that sign up for your email list actually WANT to hear from you. That's why they signed up in the first place! So you need to communicate with them on a regular basis. I knew I needed help with email, which is why I actually bought The Irresistible email course a la carte earlier this year. At full price this course will cost you $297. But, lucky for you (not me so much 😉 ) it just happens to be included in the 2018 Genius Bloggers Toolkit. The ENTIRE Genius Bloggers Toolkit costs only $97 and includes 77 products worth $5,867.88. and 2 membership sites – not to mention some great bonuses. The holiday season is the best time of year for bloggers to make money through affiliate marketing. But the last quarter of the year is also one of the busiest times of year for me and my family. It's really hard to find time to work on my blog. So, I was looking for ways to get ready ahead of time. When I heard about Caroline Vencil's Holiday Blogger Bootcamp, I was sold. In her course she teaches strategies that you can use to maximize your earning for everyday and all year. So, again, I purchased this blogging course a few months ago a la carte – and it is really good. And wouldn't you know it – it is also included in the 2018 Genius Blogger's Toolkit. This course is a $47 value – but I think it is worth even more than that. Video is a big deal these days. For bloggers – getting in front of the camera is really important. You build a level of trust with your audience when they can actually see you. YouTube, of course, is the place to house your video collection. It can also be a big source of traffic for your blog. I don't do enough video. It takes me a really long time to create a clip that is halfway decent. And usually the lighting and sound aren't so great. So, I had it on my radar to learn more about using YouTube as a creator. I was really excited to see this course – YouTube Made Simple – in the 2018 Genius Bloggers Toolkit. It will likely be one of the first courses that I work my way through this year. I would have to say that when it comes to this Genius Bloggers Toolkit – you totally get more than what you pay for. That doesn't happen to often in life, does it? The retail value of just the 3 resources that I mentioned come to $441 which is more than the cost of the whole Genius Bloggers Toolkit which is only $97. The total value of the bundle is over $5,800 at full price. Crazy, right? The best keynotes from 7 years of ProBlogger Events featuring Jadah Sellner, Pat Flynn, Heather Armstrong, Brian Fanzo and Ruth Soukup and many others. I am always looking for recordings about blogging that I can listen to while I make dinner, fold laundry, or run around town. And of course, anything from the original ProBlogger himself – Darren Rowse is going to be great advice. These recordings are included in the 2018 Genius Bloggers Toolkit. The retail value of the ProBlogger Keynote recordings is $299. Creating and giving away printables is a great way for bloggers to build their email lists. But actually making printables that look appealing is an entirely different story. Thank goodness for Laura Smith of I Heart Planners. She is the queen of printables – really. Laura offers a beautiful library of worksheets that she has created all on her own. But this course isn't about her printables. Here Laura actually shows you step-by-step how to create your OWN printables using a spreadsheet program like Google Sheets. I am so happy that it is included in The Genius Bloggers Toolkit this year. This course retails for $97. The reason that I am telling you about these courses is because I really feel that the Genius Bloggers Toolkit is a great value and has the potential to help you take your blogging to the next level. Before this bundle disappears, I encourage you to take a close look at everything that is included in the Toolkit.